Thirteen easy-to-teach lessons guide teacher preparation and student application, both in class and at home through Before Class activities, the four steps of Bible learning and application, and Extra Time activities. Understanding the Bible sections provide background information about the passage used. Teacher tips share insights about understanding preschoolers, with concrete suggestions for enhancing their Sunday school experience. Every lesson presents an interactive Bible story, review activities, and memory verse practice. 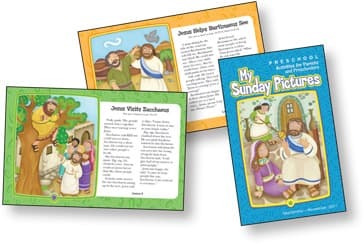 Encourages children to remember the day’s Bible truth during the week. Essential audio and visual resources to go with the Teacher’s Commentary. 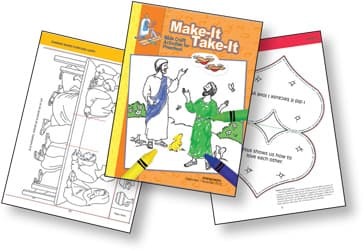 Enhances lessons with appealing Bible art posters and figures, puppets, a quarterly attendance chart, and a music CD featuring three original worship songs (stereo and instrumental) that correlate with each of the three units per quarter plus a quarterly theme song. 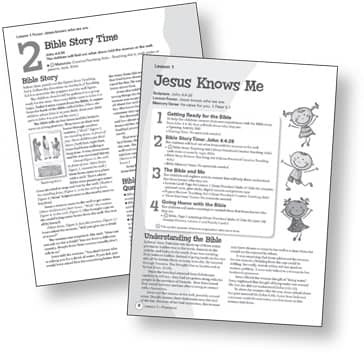 With this in-class student craft book, preschoolers explore what they have just learned in the Bible Story. These heavy-paper craft pages turn into books, story puppets, puzzles, simple sculptures, and cards. The lesson reminders help the Bible stories to be meaningful throughout the week at home. 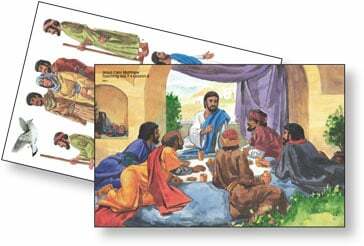 Weekly student in-class and take-home cards connect the Bible stories and lessons taught in Sunday school to each child’s home. Each card presents the Bible story, a contemporary story, and family activities to reinforce the Bible lesson at home during the week. Three parent cards give an overview of each unit as well as age-appropriate tips for families. "The Creative Teaching Aids (CTA kits) are so valuable! The kit makes teaching the lesson a breeze with all the fun games, puzzles, charts, puppets and extra resource material. It is easy to use and a real asset to each lesson."